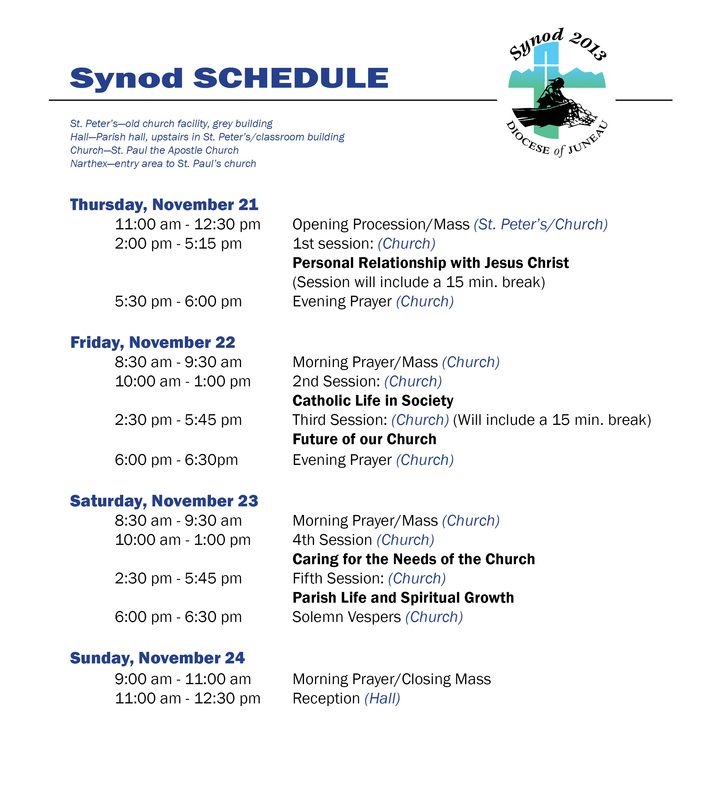 The final schedule for the Diocese of Juneau Synod 2013 has been announced. All events are open to the public; parishioners and members of the Diocese are encouraged to attend and participate in the Diocesan liturgies and to observe the deliberations of the Synod at St. Paul the Apostle church in Juneau. For more information contact the Diocese of Juneau at 586-2227, or visit the Synod website at www.evangelizeseak.com.